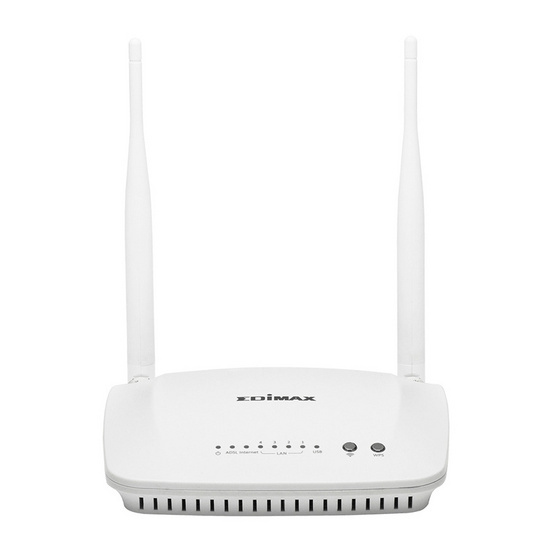 - The Edimax AR-7288WnA/B N300 Wireless ADSL Modem Router is an All-in-One device that combines the functions of a high speed ADSL modem, a wireless router and a 4-Port 10/100Mbps switch. It is designed to provide end-users with a one-stop solution to acquiring and sharing high-speed Internet access over a wired/wireless network. - Supports the latest ADSL standards, the AR-7288WnA/B brings with it much higher speed than dial-up connections. 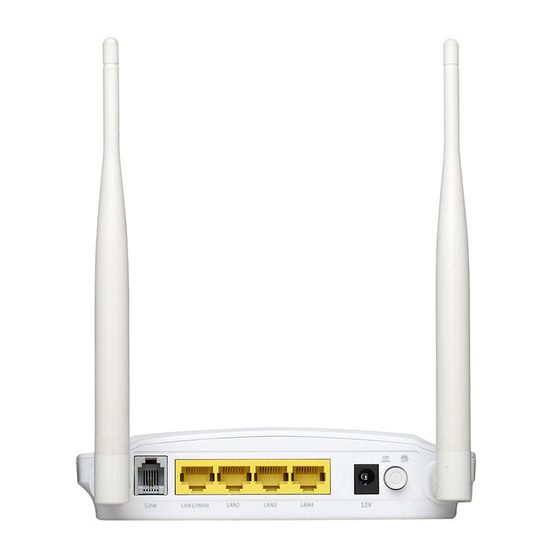 Complies with the IEEE 802.11n standard, users will get the Wi-Fi speed up 300Mbps. 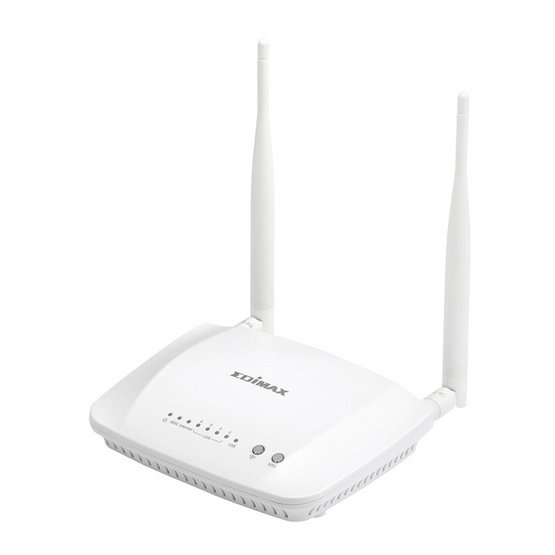 Implied with 2 5dBi antennas, the AR-7288Wna/B offers wider wireless coverage. With the AR-7288WnA/B, users can now enjoy the heavy bandwidth consuming applications like wireless HD video streaming or online gaming with mobility from anywhere in their homes! - The AR-7288WnA/B supports multiple SSIDs for up to four wireless networks and up to 16 concurrent users. - Protected from lightning strikes to help your device avoid the damage of a tough thunderstorm. - The AR-7288WnA/B supports ADSL or Ethernet WAN connections (EWAN) that allow users to have the flexibility of different Internet connections among ADSL, cable or fiber modem using its interchangeable LAN/WAN port. This unique feature makes it easier when users need to change to cable services when necessary. - Having the IPSec VPN (site-to-site) function, the AR-7288WnA/B is not just a wireless ADSL modem router, it can also works as a VPN (Virtual Private Network) gateway, which support up to 10 IPSec VPN tunnels simultaneously for the company's network and the remote users. 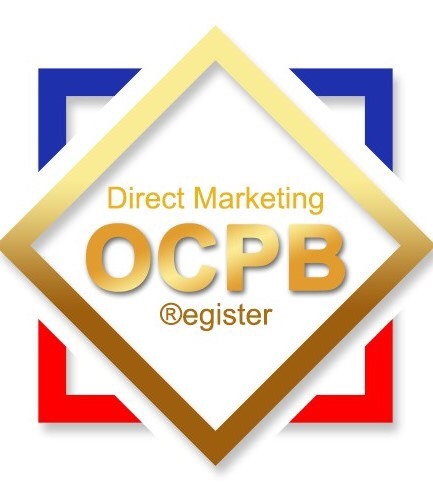 Then users can allow for complete data privacy for the access and exchange of user's most sensitive data from home to corporate network or between remote branch offices safely with AR-7288WnA/B. - The AR-7288WnA/B supports IP QoS (Quality of Service), allowing optimum utilization of bandwidth and offering bandwidth control without congestion, preventing bandwidth abuse. With IP QoS features, users of a small network receive committed and specific bandwidth, preventing non-critical applications from reducing network performance. - Using the multi-functional USB 2.0 port, users can share files or play media either throughout the network at home with several different computers or even away, so that you never have to part with your files. - Setup the ADSL modem router using the unique and convenient multi-language setup wizard provided on the included CD-ROM or available through a web browser. Select your language and follow a few simple steps to setup the router and configure the Internet connection, password, SSID and wireless security. Additionally, the setup wizard includes a built-in ISP selector to configure your ISP settings automatically. 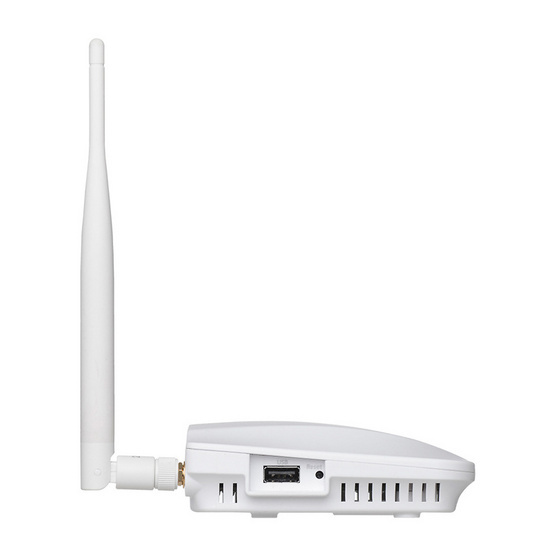 - Wi-Fi Protected Setup is a quick and convenient method of establishing wireless connections between compatible devices. Set up a wireless network in less than a minute with just a couple of clicks of a button or easily add new Wi-Fi devices to an existing network.